Did We Find Life On Mars… 35 Years Ago? NASA’s twin Viking 1 and 2 landers launched in August and September of 1975 and successfully landed on Mars in July and September of 1976. Their principal mission was to search for life, which they did by digging into the ruddy Martian soil looking for signs of respiration — a signal of biological activity. The results, although promising, were inconclusive. 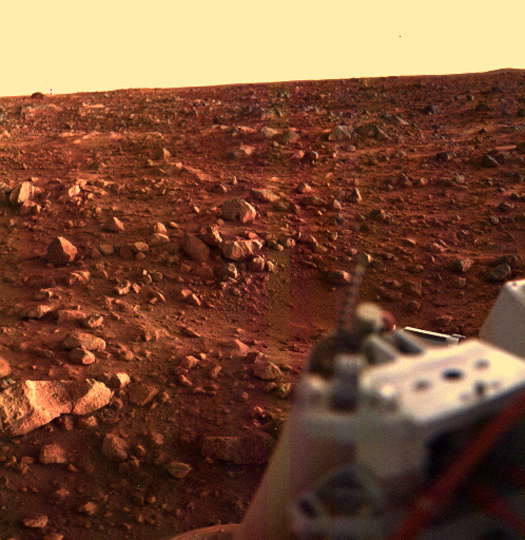 Now, 35 years later, one team of researchers claims that the Viking landers did indeed detect life on the Red Planet… and the proof has been there all along. I hope only that allows further investigation into Viking data. Story to be followed ! !